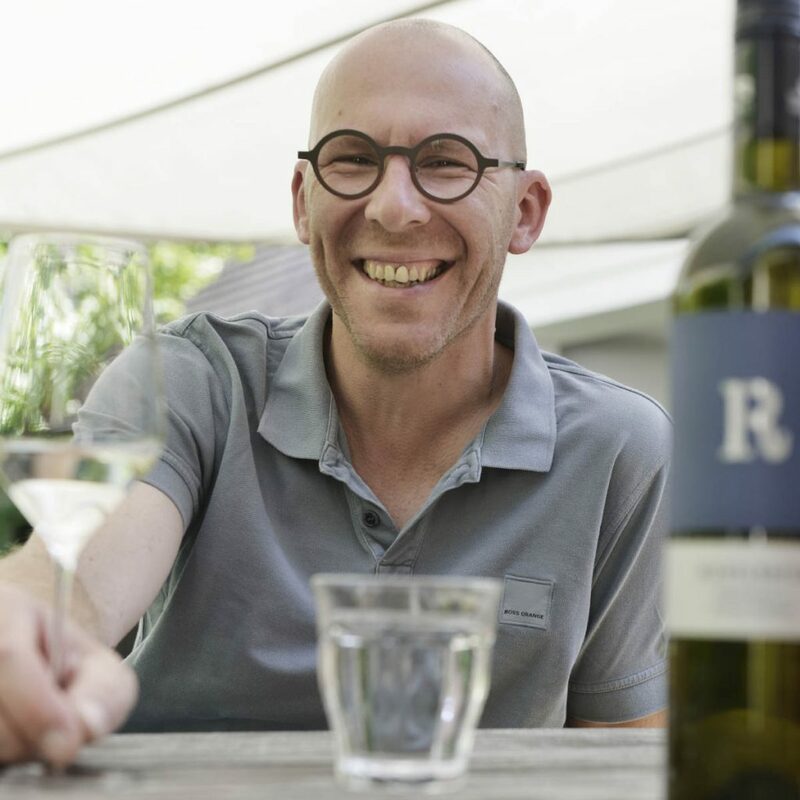 Max Riegelhofer: he’s a winemaker – an agriculturalist – a businessman – a kind of „all in one“ as it were. All this makes his life varied, exciting and challenging as well as intense and sometimes exhausting, but for sure it is never boring! For Max, wine is craftsmanship, passion, experience and inner serenity. 6 am – the alarm goes off. Equipped with a large cup of latte, Max strides into the cellar. At the start of the day Max checks out the current headlines on orf.at. Being up to date is a must for Max – be it in the cellar, in the vineyard, in the wine industry at large or in current events. In addition to his great passion – making wine – reading, or rather absorbing information is an integral part of his everyday life. What he reads is then incorporated into his (working) life. 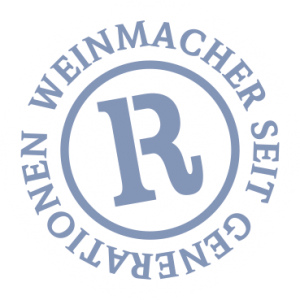 He refines the way he works or the taste profiles of the wines; he looks at new methods of vinification or new developments in the vineyards. But then there is also the time after work – here the family comes first. Learning maths with Emma, building towers with Jon or reading a few books aloud to Lasse – all this gives Max at least as much pleasure as his winemaking life does. P.S. : This all sounds a bit serious so just to add that laughing, hanging out and one (or two) glasses of wine are just as important to Max as everything else! 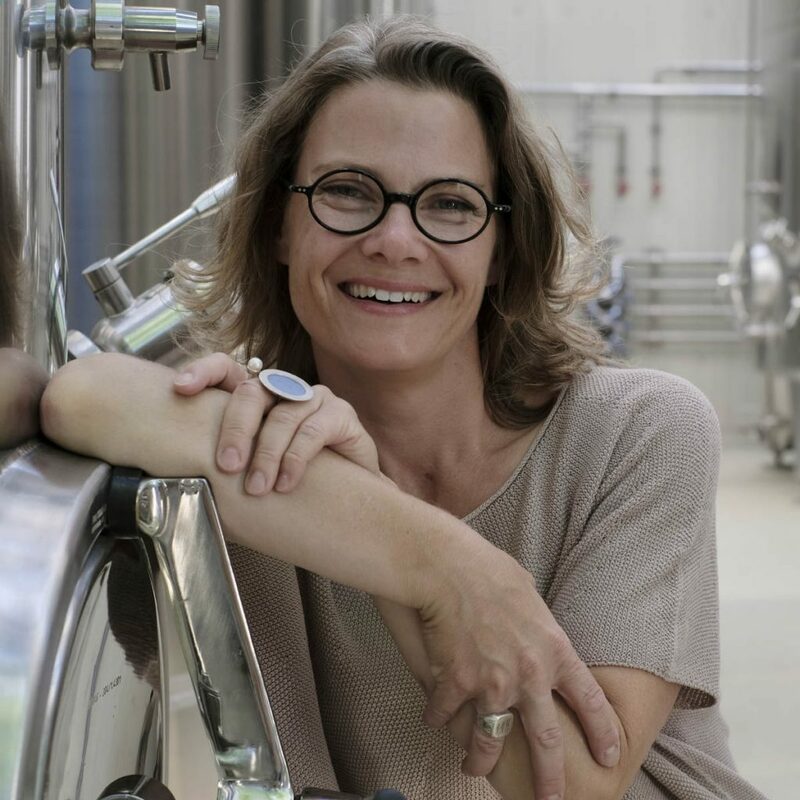 Susanne Riegelhofer: she’s „from the Pfalz, not a local“ – an organiser – the family co-ordinator – a wine expert. Susanne’s responsibilities are different, but by no means less exciting. She devotes her working passion to wine and her love of the family to just being there for them. 6 am – the alarm goes off. Susanne’s first big task every day is to make sure that everyone is in the right place at the right time. Then her work for the winery starts. She does everything that needs organising. Events like the open house days and wine festival, doing the accounts, planning the bottlings, co-ordinating the new website and wine deliveries, all this is part of Susanne’s daily business. She and Max taste the wines together and fine-tune them. They discuss changes and innovations and make the decisions together. In the afternoon Susanne has other stuff on her agenda – homework, sports, playtime – simply making sure that everyone gets what they need. ps: Susanne and Max got to know each other at a party while they were both studying winemaking in Germany – and even after many years together, they haven’t forgotten how to party!